Kids' bikes should have been designed to be fun and provide excitement for both children and parents. Unfortunately most of the time they are built unnecessarily with heavy, unstable parts that are not good for the wear and tear that kids' put them through. 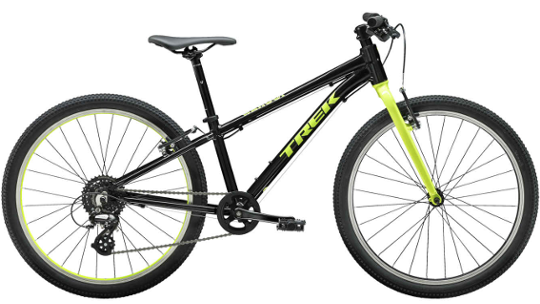 Trek have tackled this problem head-on. 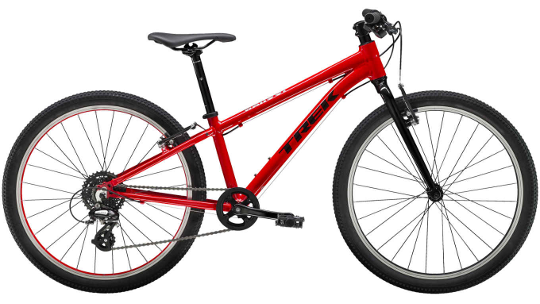 The 2019 Wahoo kids' bike range provides lightweight speed for kids' who are raring to go on rides with their Mum & Dad or even get to school on their own accord. 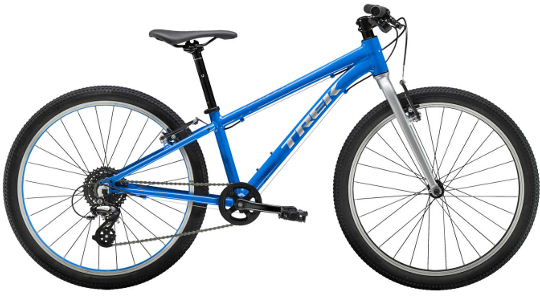 Trek are bike specialists having built bikes for former Tour de France, World Championship and Olympic champions so you don't have to worry about the quality of their bikes, back by a lifetime guarantee. Shimano parts are used on the Wahoo range to offer high quality, durable components that can last even the most gruelling of conditions and hybrid accessibility means you can travel on road, gravel paths and MTB trails! So forget lugging your kids' bike around and putting your back out from yesteryear, the Wahoo range is here.